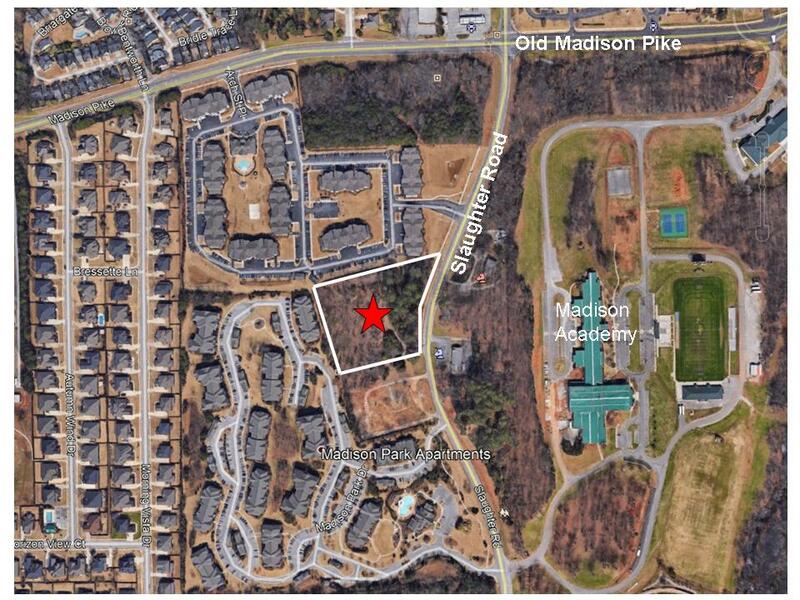 3.48 Acres of vacant land in a prime location close to residential and just around the corner from Research Park. Property is in the City of Huntsville and zoned C-4 making it suitable for any number of uses. High traffic and visibility as it sits at one of the gateways into Madison. Ample frontage and depth for retail, office, mini-storage or other uses.